Aussie faves, Peking Duk are back with another fun AF track, ‘Ur Eyez’ this time with Al Wright (Cloud Control) on vocals. On half of the duo Adam Hyde says ‘Ur Eyez’ is a song about life. “I wrote the initial idea in Thailand on holiday and it seemed like such a loving and fun vibe. Once we got to writing with Al it made sense to make the song about all the good things and the bad things – the highs the lows and everything in between. Cloud Control’s Al Wright says,”We were writing this song when I was in the middle a breakup, so to me, it’s about going through emotional times and just embracing life for what it is. 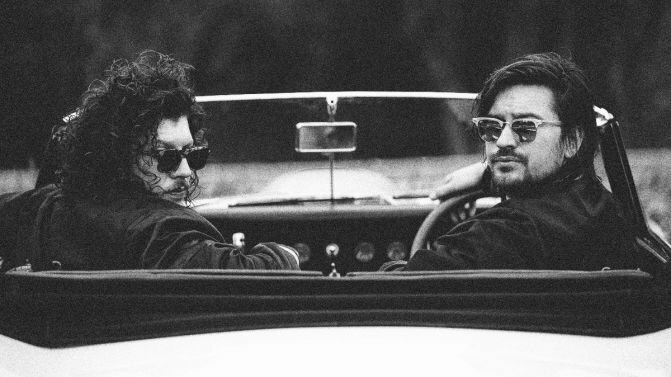 Peking Duk released ‘Sugar’ back in January with Jack River performing vocals as the first taste of all their new music to come in 2019. Currently out on their ‘Biggest Tour Ever’ the ‘Duk boys are seemingly trying to match the pace of last year, when they opened up a Melbourne bar and released a kid’s book. Backing it up already this year with a national tour, a headline spot at Big Pineapple, and throwing their two cents into the NSW political conversation, the boys are clearly gearing up for a ripper 2019. Peking Duk are almost halfway through their run of Aussie dates, check them out here. But first, listen to ‘Ur Eyez’ below.